Are you a comic book fan? Have you been drawing since a young age? Or maybe you just started and you’re actually pretty decent at it! A career as a storyboard artist is hard to get, but if it’s what you know you want to do, you shouldn’t let anything stop you. This job profile takes a look behind-the-scenes of what a storyboard artist actually does. 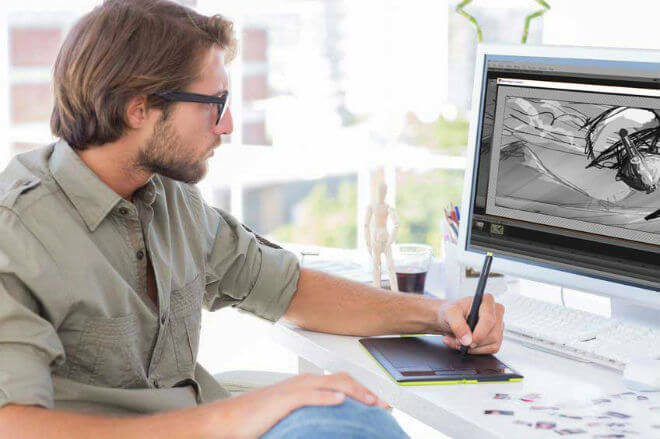 What is a Storyboard Artist? A storyboard artist is someone who takes a script (or just a concept) and turns the words into a visual story. It’s an important role because storyboard artists are in control of how others perceive the project. All different members of the production or development team look at storyboards for reference. Clarity of the boards is important. So is the “energy” in the panels. And the storyboard artist has to convey everything from gestures to emotion, with minimal (or no) words or dialogue. 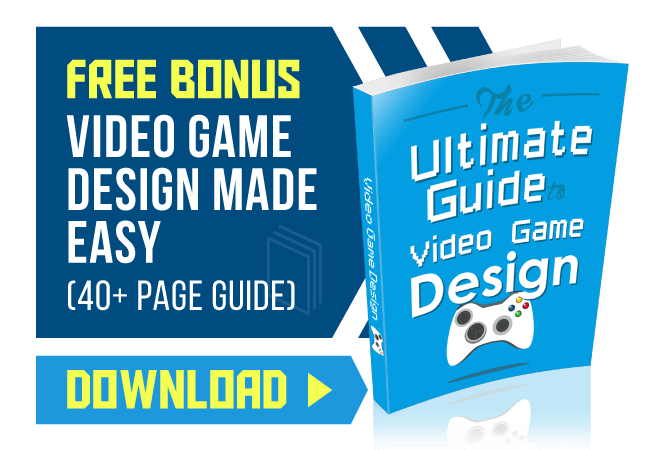 They are great visual communicators, and they are an important addition to a team–whether it’s for video games, film, television shows, and other forms of visual storytelling. 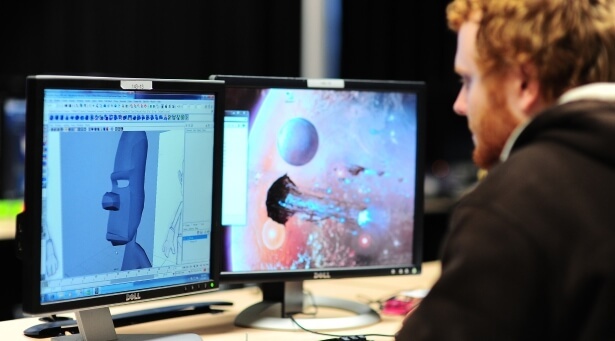 Related Content: See the top 50 video game design colleges. Storyboard artists draw scenes explaining the story. They are visual storytellers. They don’t need many words or dialogue to tell the story. The methods that storyboarders use vary from artist to artist. In many cases, the rest of the production or development team will also influence the storyboarder’s methods. If there is more than one storyboard artist on a team, it isn’t uncommon for one artist to mimic the other’s style. The uniformity of the storyboards help maintain clarity of the vision. For film projects, a director’s style might influence the way a storyboard artist renders scenes. It’s great to have your own style (as long as clarity isn’t sacrificed)–but flexibility in a team setting is also very important. In some ways, storyboard artists are drawing a comic book of the movie or video game. In addition to visualizing scenes, the storyboard artist will need to describe camera movement. Based on preference, you can visualize scenes on the computer or by hand. A digital rendering might make it easier to share, but there’s something to be said for using a pen and paper. While most of the work you’ll do involves drawings, there is some room for text. Technical descriptions have a place. Ultimately, the storyboard should clearly show what’s happening. That sometimes means using text to explain specifics in greater detail, or listing details from a technical standpoint. On a video game project, storyboard artists might work on more than just visualizing the scenes. Sometimes they’ll work on levels within a game, or on elements of character design. You’ll be responsible for visual continuity of the story. Storyboard artists are responsible in many cases for “pitching” their boards to the director of a film or the creative head of a development team. It’s a time to let your excitement and enthusiasm for your work shine through. You’ve taken a concept or a script and turned it into a rough visual masterpiece. Your pitch is where you bring the visuals even further to life. You walk the director (or whoever it is) through the entire story, narrating and describing your boards. This can involve sound effects (so start practicing your explosions and spaceship sounds now). Your drawings should speak for themselves, but that doesn’t mean you can go into a pitch and clam up. You need to take your pitch recipient into the story and keep them there. You’re selling your visual interpretation, so your pacing and rhythm and sounds will absolutely make a difference. “In some cases, my storyboards have inspired the writing team to expand a part of the script a little further” says Walsh. You do more than just visualize other people’s ideas–you inspire their creativity, in turn. 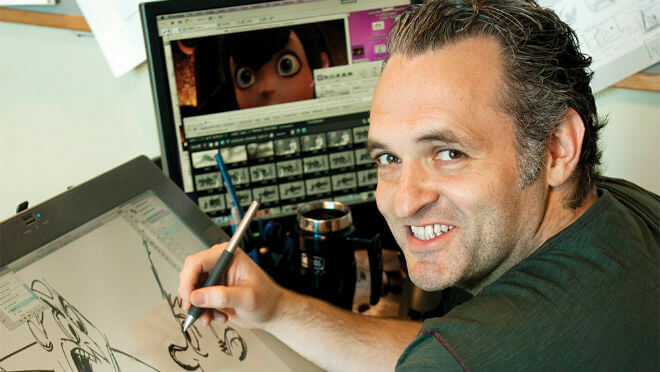 Ted Mathot is the Pixar story supervisor. He’s also a creator and artist for comic books. Storyboarding cinematics for video games is just like storyboarding for television or film. A quick Google search will turn up a number of interviews with the man. As a successful storyboard artist, he has a lot of wisdom to bestow (nudge, nudge). Three years ago he posted “story advice” on Tumblr. It’s still available today (if you’re interested in reading the whole thing, you can find it here). In it, he talks a lot about the ideal portfolio you should assemble if you’re looking to apply at a studio like Pixar. You might be wondering how long your portfolio should be… He recommends 15-20 pages worth of boards. And don’t cram these full of as many panels as you can. Keep them big enough to be legible–Mathot recommends 6-9 panels per page. Clarity is the most important thing. Why not hit the studio with every single board you’ve ever drawn? Simple–time. No one has time to look through every panel you’ve created in the past 15 years as you’ve been developing your skills in your free time. Choose the panels that really showcase what you can do. This means you should be picky. Don’t make the reviewer work hard to find your good stuff. Wow them quickly, show them you value their time. And show them you’re good at what you do–only include your best work. That means keeping a journal or notebook with you isn’t a bad idea. The next time something quirky happens to you, you’ll be ready to record it–according to Mathot, that kind of work can make the difference. 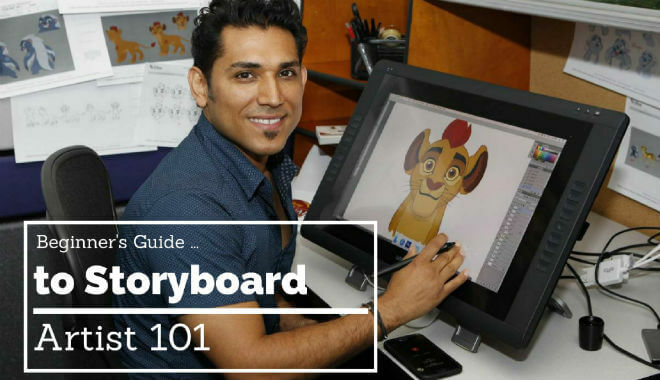 How do you become a Storyboard Artist? There are a number of tools on the web that can help you out. A lot goes into storyboarding, so you’ll have to dip your hands into a few knowledge pots to make sure you’re well-equipped for the job. Very good drawing skills are important. Your storyboards need to clearly convey a scene. You’ll need to illustrate character emotion and gestures. You’ll have to render the setting for the scene. 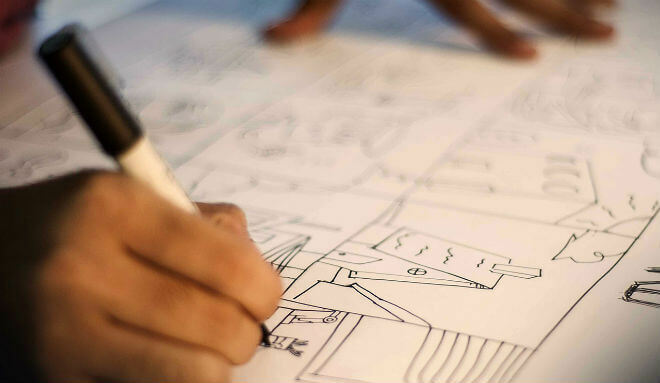 You’ll hear this again and again as you look into storyboarding–you should be drawing. All the time. The best jobs are the most competitive. Your dream job is another person’s dream job, too. And you can bet that someone out there, who wants that job, is drawing every day. You can absolutely do it, but not if you aren’t honing your drawing skills. Do a “draw every day” challenge. Capture what happens to you at lunch today. Put panels together for that whacky dream you had last night. You’ll also want to know a bit about cinematography. You’ll be drawing what the “camera” would see (video games and animated films aren’t filmed with a camera, but they still have that perspective). What a camera sees and what your eye sees are two very different things (surprise! ), so you’ll need to understand the difference. There are other limitations and best practices used in the industry. You’ll want to know those. These include concepts like the 180 degree rule. The 180 degree rule is a rule that keeps the viewer properly oriented in the scene. Basically, when you set up your scene, you have a straight line through the middle of it. For every shot in that scene, your camera perspective needs to be on the same side of that line. Warburton Labs has a very helpful comic that illustrates this concept (here’s part 2 of that comic), and a number of other helpful concepts that relate more specifically to storyboarding. Take art courses, and theatre courses, and cinema or photography courses. Every piece of the creative production puzzle that you can understand will make you that much more valuable as a storyboard artist. Your best bet if you’re in school is to seek out internships. Apply to the big studios (because who knows!? ), but apply to the little studios too. The more reps you can get in, the more likely you are to look good to studios like Pixar. If you’re looking for an entry-level job without formal collegiate education, your portfolio needs to be excellent. Classes and workshops can help you learn the technical side of the craft and hone your skills. We weren’t kidding. If there wasn’t even more helpful info in this job profile below, we’d tell you to stop reading and start drawing right now. Like a lot of job pursuits in the entertainment industry, you need to brace for a whole lotta’ “no.” Persistence and a strong portfolio will be the key. Call it the PSP formula, or the “Persistence, Strong Portfolio” formula. Except, unlike the Sony PSP, you will thrive for many years to come! At a big studio, you likely won’t find entry-level storyboard artist positions. If you have storyboard experience, you’ll have a better chance of being hired directly into the position. Smaller studios will rely on their animators for storyboarding help. You’ll have more responsibility, but smaller projects or indie projects let you develop more of your skills through working on the game. This experience can be extremely helpful, especially for landing jobs at bigger studios. Knowing film and animation are important parts of storyboarding. If you’re an avid consumer of that digital media, you might have an intuitive understanding of cinema. But learning the “why” behind it is still important. You should know about acting, staging, shot composition. Learn about cutting, the act of splicing scenes together. Learn the language of film. Develop strong draftsmanship. Your goal as a storyboard artist is to clearly communicate the story through visuals. That means you need to be a strong artist. Studios are looking for well-drawn storyboards. They want panels that clearly communicate tricky details, like gestures or expressions. And when it comes to expressions and emotions, try to cover as much as you can. Stories contain many emotions. Drawing only humorous panels will leave a lot of unanswered questions for the reviewers looking through your portfolio. Be sure to include other elements, like sad, emotionally-charged scenes, or thrilling action panels. You’ll need to be a collaborator. Especially if you want to work in a studio environment. If you’re looking to learn storyboarding for the sake of the indie game you’re building, collaboration isn’t a necessity for that project. But in just about every other setting, you’ll be working closely with other members of the team. As we’ve mentioned, the industry is competitive. Pay will be based on experience and the company you work for. According to Glassdoor.com, the national max income is around $139,000. The national average is $104,640. The minimum is listed by Glassdoor.com as $87,000, but Blue Sky Studios has an annual salary range minimum of $76k listed just a little bit further down the page. For more reference, an hourly-contracted Storyboard Artist at Nickelodeon makes between $48 and $53 per hour. A Lead Storyboard Artist at Activision makes between $107k and $117K. Every idea you have won’t be perfect. That’s impossible. So you want to be ready to take criticism. Absorb the feedback and use it to make something great. There will be plenty of times where members of the team won’t end up liking parts of your storyboard. 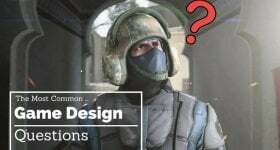 You might have to rework scenes over and over, combining different elements of the iterations until you finally have what the team is looking for. You really need that flexibility. Storyboarding is a “rough” task. It needs to be “finished” and malleable at the same time. It’s an evolutionary thing. It might change as the film is shot or the game is made. There’s also some pressure behind storyboarding. Storyboard pitches can involve backers, executive producers, and other decision-makers. Whether or not your project gets green-lit could fall on the shoulders of you and your storyboard. That’s a heavy mantle to bear! But if you’re passionate about what you do, it can be an extremely rewarding mantle, too.